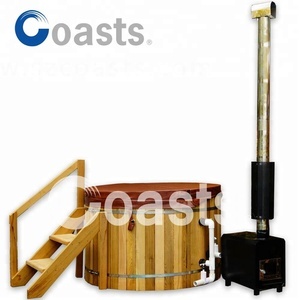 The perfect addition to any log style cabin or winter home. 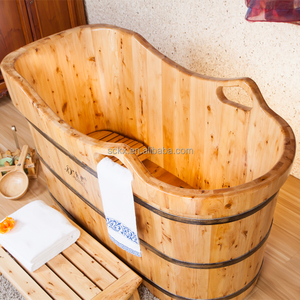 Nothing feels better than crawling into a tub made of wood and filled with steaming hot water. 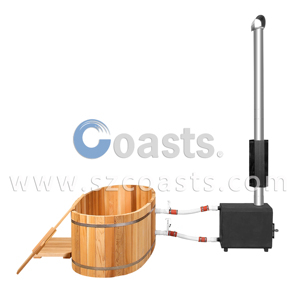 To protect the wood from water damage, a highly resistant varnish is used. 2. 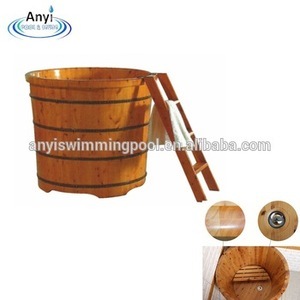 The wooden bathtub can be custom made of difference size or design as you requested. If the inspection result is failed, we would at once do the correction work for your order to pass the inspection. The inspection cost would be about USD250.00 (much lower than their official price) on your side. 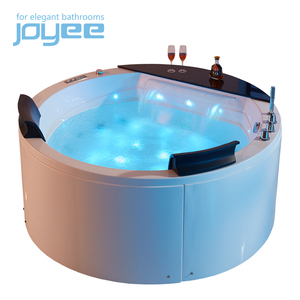 Our hot tubs and outdoor spas are Ergonomic Design and with wonderful massage jets with strong massage effects. 1.All our products are manufactured with advanced equipment and strict QC procedures in order to ensure high quality. 3.If you are interested in any of our products, or hope to place a customized order, please contact us. 3 PRODUCT PICTURE All pictures are taken by BELLISSIMO. PRODUCT PARAMETER 2017 Foshan New design Acrylic out door bath tubs BS-8638 Model No. BS-8638 Brand name BELLISSIMO Color White Material Stone resin/Solid surface Length 1.63M Waste Include Volume 1.28 M&sup3; Overflow Available N.W&G. 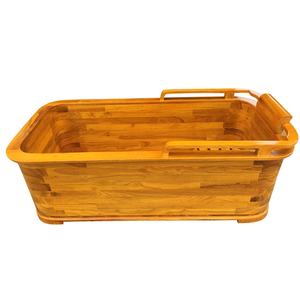 Foshan acrylic material whirlpool massage bathtub FOSHAN AISHANG SANITARY WARE CO., LTD. We are a manufacturer in China,major in bathroom sanitary wares manufacturing and exporting for more than 10 years. By one of the largest market share in foshan,ASIHANG is now gaining reputations for the good quality from all over the world. 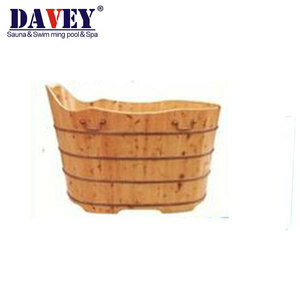 Foshan Dejia Sanitary Ware Co., Ltd.
Alibaba.com offers 925 wooden barrel bath tub products. About 40% of these are bathtubs & whirlpools, 24% are tubs, and 4% are sauna rooms. 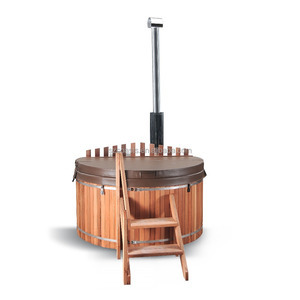 A wide variety of wooden barrel bath tub options are available to you, such as soaking, massage, and dry steam. You can also choose from wood, acrylic, and abs. As well as from freestanding, apron, and drop-in. 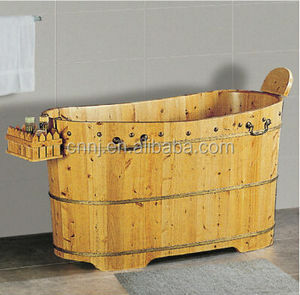 And whether wooden barrel bath tub is corner, center, or reversible. 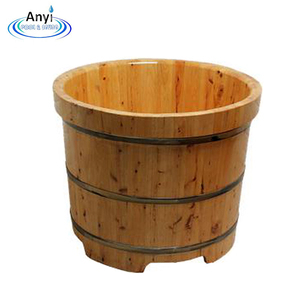 There are 849 wooden barrel bath tub suppliers, mainly located in Asia. 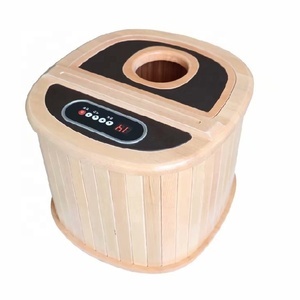 The top supplying countries are China (Mainland), India, and Lithuania, which supply 97%, 1%, and 1% of wooden barrel bath tub respectively. 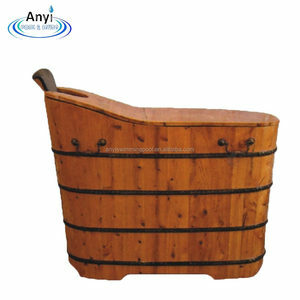 Wooden barrel bath tub products are most popular in North America, Domestic Market, and Northern Europe. You can ensure product safety by selecting from certified suppliers, including 389 with ISO9001, 93 with Other, and 9 with ISO14001 certification.